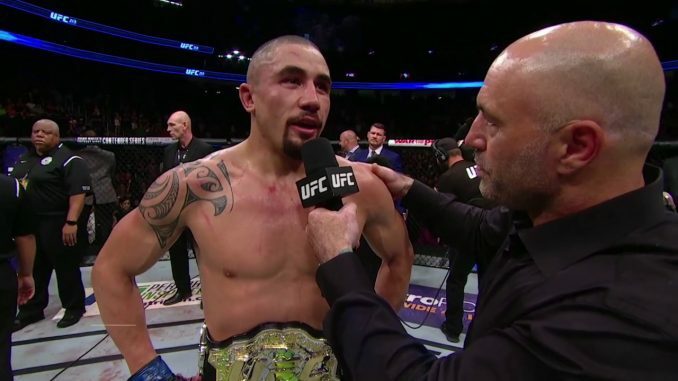 Hours before the UFC 234 pay-per-view from Australia, the card lost its main event when it was reported that middleweight champion Robert Whittaker was off the card. Brett Okamoto of ESPN reported Saturday afternoon that the fight with Kelvin Gastelum was canceled after Whittaker was forced off the card due to a hernia. Okamoto spoke with UFC president Dana White, who stated that Whittaker was complaining of pain in his abdomen the night prior and was taken to the hospital. Okamoto later added that Whittaker was scheduled for surgery today. The middleweight fight between Anderson Silva and Israel Adesanya will serve as the new main event of the card tonight in Melbourne. The Fight Pass preliminary fight between Lando Vannata and Marcos Rosa Mariano has been moved up to the pay-per-view main card.